The picture below was sent in by my regular correspondent William Paterson. He said that it is in his family’s Zululand photo album and that it might have taken at either Lake St Lucia or Lourenco Marques. He was interested to know what the plane was and what it had been doing in that part of the world. 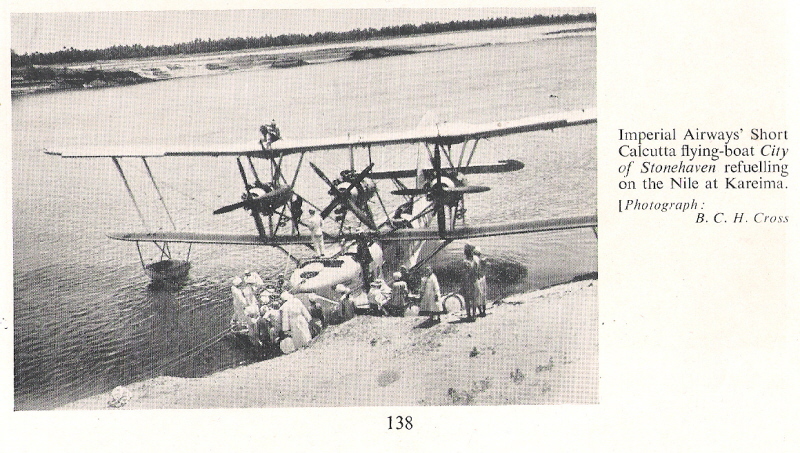 I was able to establish that the aircraft was a Short S28 Calcutta flying boat of Imperial Airways and that it had been wrecked at Mersah Matruh and later became a training machine. Brian Cassidy’s excellent Flying Empires (free on Google Books) records that the aircraft was used to train pilots who later flew the Empire Class flying boats on the route to Durban. My theory at the moment is that the aircraft could very well have been used for a training flight to familiarise pilots with the route. If that is so, then the picture is more likely to have been taken at LM, which was the main stopping point for the Empires. 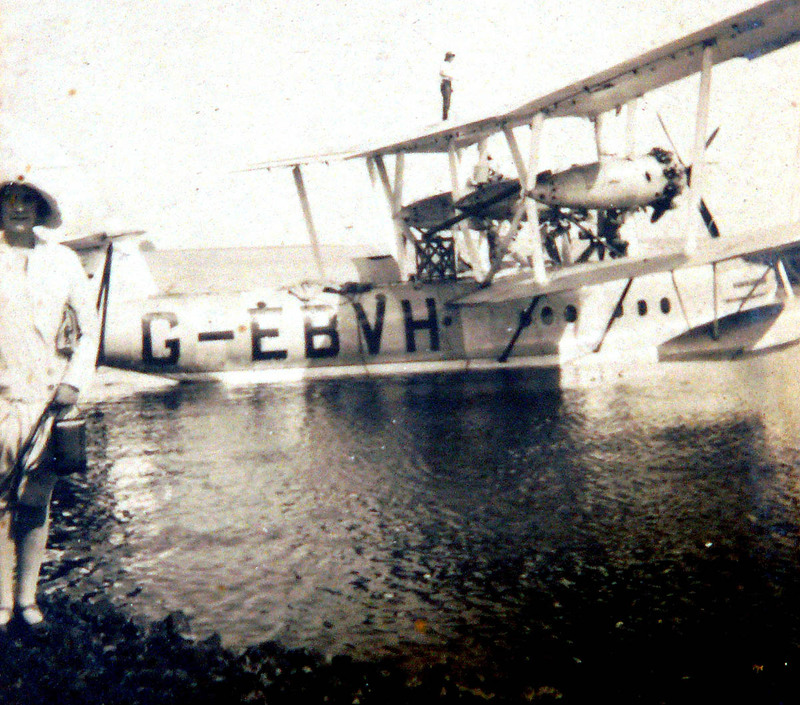 The aircraft was broken up for spares in 1937, by which time the Empires would have been flying weekly to Durban. Anyone who can shed any light on what the aircraft was doing in the area, and when she was there, is welcome to leave a comment below, or contact me here. I have a major section on passenger and military flying boats in Durban on this site. In 1953, I was given a book called “The New Book of Flight” as a Christmas present. So that’s over 50 years ago now! What is interesting about the book that it covers a lot of pre war and post war aircraft of the time. I looked to see what it had about a Short Calcutta and yes, there was a reference and a picture. Here is the reference and comes under the Heading: The Start of the Empire Routes. “The first flying boats designed for Imperial Airways were the Short Calcutta 3 motor metal hulled boats built in 1928. These boats were were of a similar design to the 2 motor Short Singapore in which Sir Alan Cobham had made his valuable 20,000 mile flying boat survey of Africa from November 1927 to June 1928. The Calcuttas went into service on the Mediterranean section of the weekly London -Karachi service which began on 30th March 1929. Later the same year the route was extended to Jodphur and Dehli. The picture of the Calcutta is also from the book. 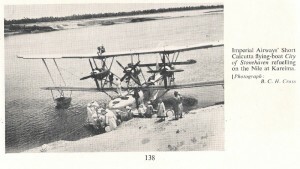 A Short Calcutta being refuelled on the Nile. The book is not explicit whether the Calcuttas did the whole trip from England to South Africa. I would say they didn’t as I think the Empires were the first flying boats to cover the whole route. The book does state that the England – Central Africa service was extended to Cape Town on 20th January 1932 for the carriage of mails. On 27th April 1932, the first passengers left London by air for South Africa.